Leonardo DiCaprio’s Friends Urging Him to Take a Break? Leonardo DiCaprio has reportedly “burned” himself out. The Wolf of Wall Street star has been told to slow down by his friends as they fear his hectic work schedule is having a negative effect on his health and personal life. “Leo has been working like a demon over the past three years - and it's now starting to come back and haunt him. He's pretty burned out at the moment and suffering from insomnia from pushing himself so hard. Everybody is begging Leo to slow down but he's just very focused on making a lot of money right now—to the exclusion of almost everything else,” a source said. 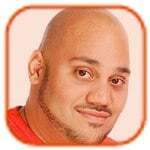 However, it appears the 39-year-old actor has been investing his money wisely as he recently spent $10 million on a new four-bedroom apartment in New York. He also splashed out $8 million on an apartment adjacent to a $4 million home he already owns in the eco-friendly 2 River Terrace in Battery Park City last month. And in February, he spent $5.2 million on a six-bedroom mansion in Palm Springs, California. 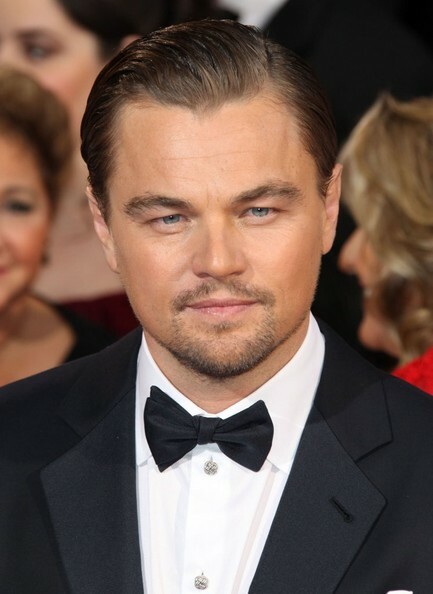 Click to continue reading Leonardo DiCaprio’s Friends Urging Him to Take a Break? Gallery: Leonardo DiCaprio’s Friends Urging Him to Take a Break? Emma Watson was forced to take method acting to whole other level while filming Noah. When she told Aronofsky that she wasn't feeling well, the director instructed her to use it for her scene. “I turned round to the bus and was like: 'Is he joking?' and there was deadly silence,” Emma recalled. Fans will see whether or not Aronofsky's directing methods work when Noah hits theaters March 28. 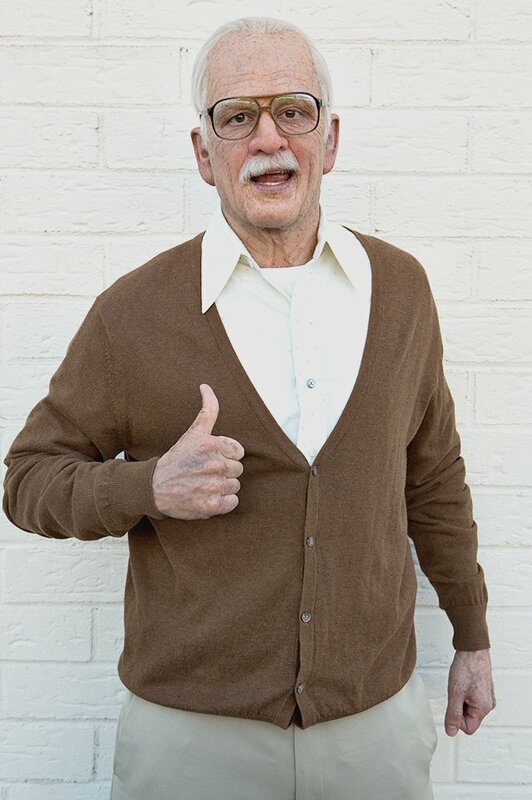 Johnny Knoxville is “honored” that Jackass Presents: Bad Grandpa is nominated for an Oscar. The 42-year-old actor - who co-wrote, produced and starred in the movie, where he plays an 86 year-old man - is proud of the fact his film could win one of the most esteemed awards in the movie business for Best Make-Up and Hairstyling. 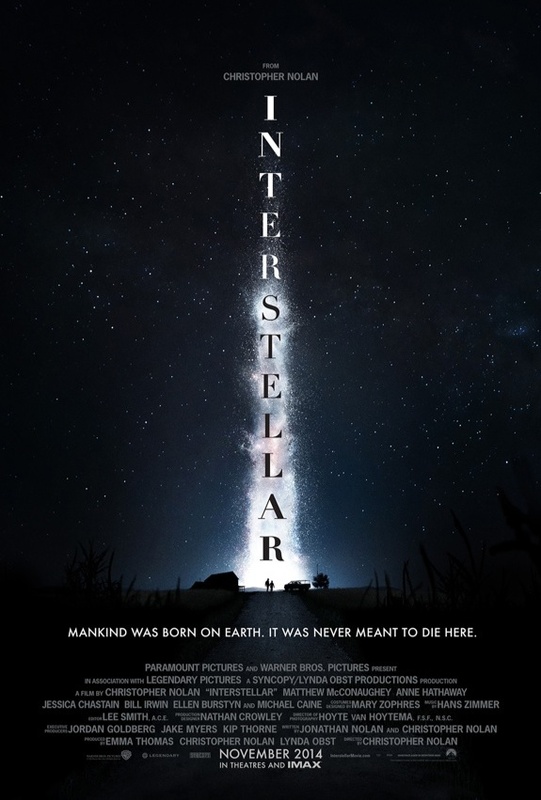 “A film associated with Jackass [franchise, known for its wild and often puerile stunts] is nominated for an Oscar. It's a big deal. We're very honored. It also makes us giggle. You know what we do,” he told USA Today. In the movie Johnny plays Irving Zisman, who is on a journey across America with his eight year-old grandson, and their stunts and the trouble they got into was filmed in the real world, capturing the reactions of the general public. Legos aren't just extremely marketable toys for children - they're a marketable movie franchise for adults, too. 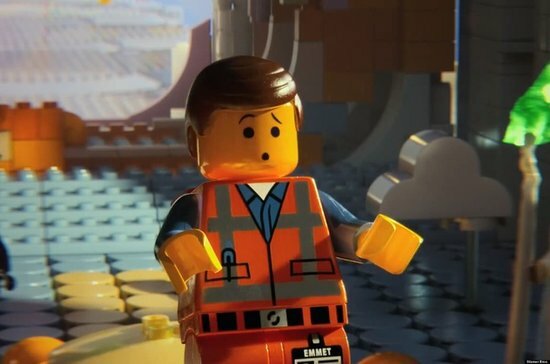 The LEGO Movie topped the box office this weekend, earning $69 million while another newcomer, The Monuments of Men, debuted with $22 million, landing it a second place title. Despite holding the number one spot for three consecutive weeks, Ride Along took a dive down to number three with $9.5 million. Frozen fell two spots to number four with $6.8 million while Lone Survivor stayed put at number five with $5.5 million. 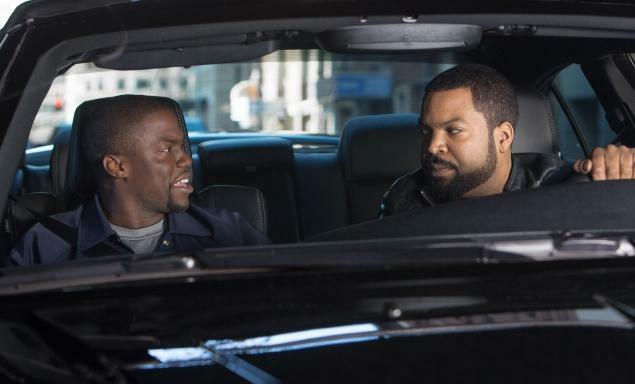 With few newcomers this past weekend, it was easy for the Ice Cube and Kevin Hart buddy cop comedy, Ride Along, to maintain its top box office position. The runner-ups in second and third place - Lone Survivor and The Nut Job - also remained in their box office positions. Ride Along took in $21.2 million while Lone Survivor and The Nut Job took in $12.9 million and $12.1 million, respectively. Frozen came up one spot to number four from last week with $9.1 million while Jack Ryan: Shadow Recruit pulled in $9 million, dropping down one spot to number five. Bradley Cooper is to star in The Elephant Man on Broadway. The American Hustle actor will reportedly portray disfigured John Merrick - who toured the UK in a freak show before being rescued by Dr. Treves - on the New York stage “without the aid of make-up or prosthetics,” Entertainment Weekly has revealed. He previously played the role in a limited run in 2012 at the Williamstown Theatre Festival in Massachusetts. It is unclear whether his co-stars in that production, Patricia Clarkson and Alessandro Nivola, will also appear in the Broadway show. The play will mark Bradley's first return to the New York stage since his 2006 stint opposite Julia Roberts and Paul Rudd in Three Days of Rain. 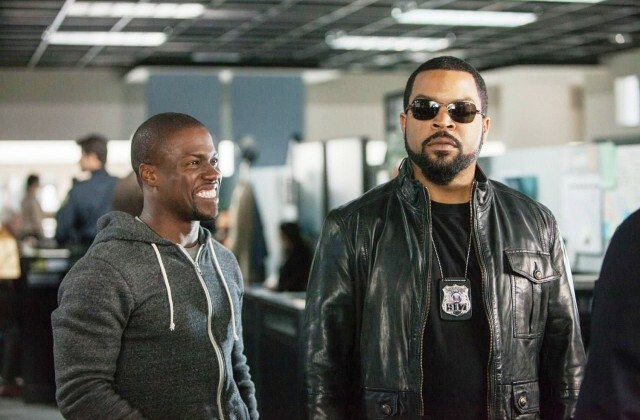 Although Ride Along seemed like it was going to face stiff competition this weekend, the Kevin Hart and Ice Cube buddy cop comedy not only came out on top but also set a new record for the biggest January opening (a title held previously by Cloverfield, which had made $40.1 million in 2008. Ride Along's record-breaking opening for the weekend was $41.6 million, dropping last week's top box office earner, Lone Survivor, down to number two with $22 million. The animated film Nut Job debuted third with $19.4 while the other newcomer, Jack Ryan: Shadow Recruit, came in fourth place with $15.5 million. Last week's number two earner, Frozen, fell three spots to number five with $11.8 million. Keira Knightley is tired of her characters dying in movies. The 28-year-old actress appeared on the red carpet for the European premiere of her latest film, Jack Ryan: Shadow Recruit at the Vue cinema in London's Leicester Square and said she chose to appear in an action film because it was more “fun” than some of her recent roles, which have included Never Let Me Go, A Dangerous Method and Seeking a Friend for the End of the World. For today's installment, we have The Wolf of Wall Street star Margot Robbie on the left and My Name Is Earl actress Jaime Pressly on the right. While one has been creating buzz over her first major Hollywood role, the other has caused a stir by buzzing half of her hair off the side of her head.